“He’s kind of gone his own way in the world…”, says a middle-aged man outside the venue, “…rode his bike around town before it was cool, built his own house, that kind of thing.” Amidst a room filled with friends and fans alike, one thing becomes certain about Butch Hancock - this guy represents something very dear to his supporters. However, this was peculiar only until he made his way to the stage, his son, Rory, just steps behind him. Hancock is dressed in faded shades of black - the modest type - bearing a small, cherry-red acoustic; his son sits next to him on guitar wearing an oversized floral-themed button-up. It’s every bit of charming. Within seconds, he’s filling the room with stories of adventures in Italy, Los Angeles, and all over the globe. He’s joking and they’re laughing - a common thread throughout the night. But unlike most musicians, Hancock’s humor didn’t end where the songs begun. Rather, a majority of the laughter came in direct response to his lyrics. His newest song, for instance, roused a continual wave of laughter with clever lines like, “I got my mojo workin, but it just don’t work no more” - a modest but - judging by the response of the crowd - incorrect evaluation. But don’t assume Hancock’s light-hearted wit is indication of him lacking any bit of depth. Butch can inquire into the metaphysical realm and he often does. In an instant his voice will drop down an octave and the grin fall from his face, leaving him asking the big questions. In the song “Danglin’ Diamond”, for example, he croons - “Time flies by beyond the blues. Where am I? Where are you?” His trick is he refuses to get hung up on the inexplainable, but embraces complexity instead, hence the humor. On this note, a reoccurring theme of Hancock’s commentary was the question of, “what’s happy and what’s sad about a thing?” All in all, the laughs were there, the sincerity was there, and most importantly - the melodies stuck around even when the bar was closing. Oh, and one more thing - the kid, Rory? Rory can play. Mohawk’s sold-out inside stage was crowded with patrons eager to hear the folk punk band, Andrew Jackson Jihad. Many of the songs were short, without too much development, and the band’s lyrics decry our consumer culture and injustices. The songs were also filled with regret and self-loathing. The blunt accusations and confessions seemed to resonate with many in the audience. The sound of the band was very raw, taking traditional folk instruments and elements and distorting them. All of the songs had simple chord progressions and simpler rhythms, but the band’s greatness lies in the energy, lyrics, and ability to articulate a wide range to their audience. After a long sound check, the show began with Sean Bonnette, the lead singer and guitarist, accompanied by a double bass. The songs relied on Bonnette’s aggressive yet melodic vocals and the rhythmic strumming of the string instruments. One of the first songs performed was “People II 2: Still Peoplin,’” in which Bonnette states, “You’re an irreplaceable human soul / With your own understanding of what it means to suffer / And that’s a huge bummer.” This folk-esque song got the whole crowd singing along and raising their fists. A few songs into the set, a banjo guitar player was added to the line-up. At this point, the band played their hit, “American Tune.” The chorus sardonically proclaims, “I’m a straight, white male in America! I’ve got all the luck I need.” This song reflects on the injustices within our culture. In between songs, Bonnette was extremely humble and appreciative of the large audience and vociferous approval after each song. The other band members were charismatic, and at many points their informal joking made the performance seem more like watching a practice than a concert. This added to the band’s charm. For the last few songs, the band brought up a drummer and switched the acoustic instruments for electric guitars and basses. The sound became much more like a conventional punk band. The drummer was extremely aggressive, and, due to the change in energy of the band, the audience began jumping around and bumping into each other. At one point during a song, the band stopped in order to settle down the crowd. The full band played “Sad Songs (Intermission)” in which Bonnette describes a mentor who recommends to Bonnette “Just write a love song / ‘Cause they’ll keep your belly full and your wallet lined / Don’t bother these nice people with your sad sack songs / If you ask me, I think they’re just a waste of time.” This country-influenced track was a catchy crowd favorite. One of the last few songs, and my personal favorite, was “Hate Rain On Me.” The melody of this song is particularly comely, and the guitar riffs are alluring and interesting. This tune was also an audience favorite. Andrew Jackson Jihad’s set here in Austin, Texas was long and wonderful. The band was able to connect with the audience both with their charming personalities and lyrics full of bitter truth. The evening was diverse due to the changing instrumentation, and the audience got a full range of the band’s talents and musical styles. 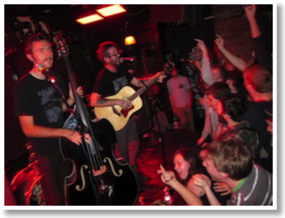 Andrew Jackson Jihad’s varied songs provided the concert-goers with raw and strong music that was memorable for its energy and drive. 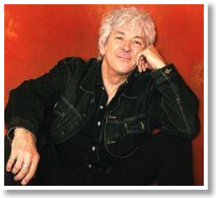 Ian McLagan, a Rock and Roll Hall of Fame inductee, put on a warm performance in Austin’s Lucky Lounge. His band, made up of a drummer, bassist, guitarist, and himself, was spectacularly talented. Their long set was filled with diverse songs and heavy blues and classic rock influence. McLagan was also a charismatic speaker, and the audience appeared to enjoy the time in between songs almost as much as they enjoyed the music. Near the beginning of the set, Ian McLagan & The Bump Band performed the bluesy “Been a Long Time.” This song captured the blues and rock fusion that defines the band. McLagan’s proficiency on the keyboard created a luscious texture to which the rest of the band added the rhythm and accompaniments. His vocals were always precise and driving, and each song took breaks from the vocals for strong guitar and keyboard solos. The band members had a light-hearted attitude; for example, McLagan commented that it was “just the right price” at the free show, and if the audience didn’t like the show, they could “just walk out.” Later in the set, the band played “Never Say Never.” This song had interesting changing time signatures that displayed the musical prowess of the band as well as an impressive extended guitar solo. “Date With An Angel,” which also featured the organ, was a beautiful ballad displaying the band’s more quiet side. Another great aspect of the band was the musical noodling between songs. The drummer experimented with different noises, such as the scraping of his sticks against his cymbals. The other members of the band performed different sounds that all fit together in an artful way. McLagan is able to bring his years of working with acts such as The Faces, The Small Faces, and The Rolling Stones to his current band. 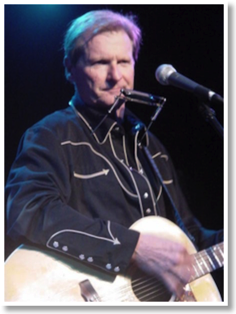 He captures the energy and sounds of 1960’s classic rock in an interesting and different way. The talent of each musician on stage was very apparent, and McLagan was able to connect to the audience throughout the performance.